The AOA Design center understands that every project is unique. In an effort to provide our customers a wide variety of quality window options, we're proud to offer the sleek new styles, bold new colors and new product options of Windsor Windows and Doors. For over 15 years, we've prided ourselves on offering value to the customers we serve. This commitment to value makes our partnership with Windsor a perfect fit. 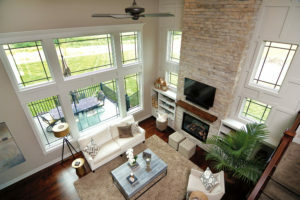 Our knowledgeable window consultants will listen to what it is you're looking for in new windows, and with the variety of options Windsor has to offer, we'll be sure to find you the perfect product for your window project. All Windsor products have quality and performance built-in to every window, but the innovation Windsor offers is what sets this special brand apart. Choosing from a variety of materials, expanded sizes, and decorative details, you can create a window combination for your home that will truly impress. If you’re building a new home, remodeling, or even taking on a historical renovation; Windsor’s windows and doors allow you to get creative without sacrificing quality or stretching your budget. As a long-standing energy star partner, Windsor builds every window with Low-E glass. Windsor is NFRC certified and has earned numerous other energy-related certifications and awards. Buying Windsor Windows means that you are investing in windows that meet every energy standard available, and will save you money on your energy bills. Whatever environment you’re trying to create in your home, Windsor patio doors can help. Create an unforgettable first impression backed by a long-lasting performance with a Windsor Patio door style that fits your home’s design. Learn more about Wood Windows & Patio Doors. Windsor offers 3 distinct window lines to help homebuilders & homeowners alike achieve the perfect finishing touch to any home. With Revive’s innovative window replacement process, your entire home can enjoy Windsor quality in about an hour. Revive’s process removes the need for us to replace or even touch your home’s trim and exterior elements. Because the installation process requires no work to these features, Windsor Revive pocket replacement windows are an uncomplicated upgrade that can save you serious money. With the weather-resistant strength of cellular PVC, these windows offer a guarantee against rotting, warping, swelling and other age and weather related problems. Energy efficiency is heightened through the use of Windsor’s two-inch thick sash and silicone glazing method, meaning you’ll feel the difference in your home and see the difference in your energy bills. Expect easy operation thanks to Windsor’s adjustable hinge system and single lever multi-point lock. Natural wood serves as one of the most energy-efficient materials available. Windsor uses only the finest wood interiors of Clear Select Pine, Natural Alder or Douglas Fir on the interior of your home. Pinnacle Windows are also complete with a durable heavy-duty .050 extruded aluminum cladding, which is sturdier and more resistant to exterior damage, including dents and chips. This means you get the beauty of wood and the durability of aluminum in windows that will last for decades.